Honda has got its design mojo back. Revealed at the Tokyo Motor Show, the Honda Sports EV Concept, like the recent Honda Urban EV Concept, looks fantastic. We’re waiting for more details, but if it drives as well as it looks, we’re excited. 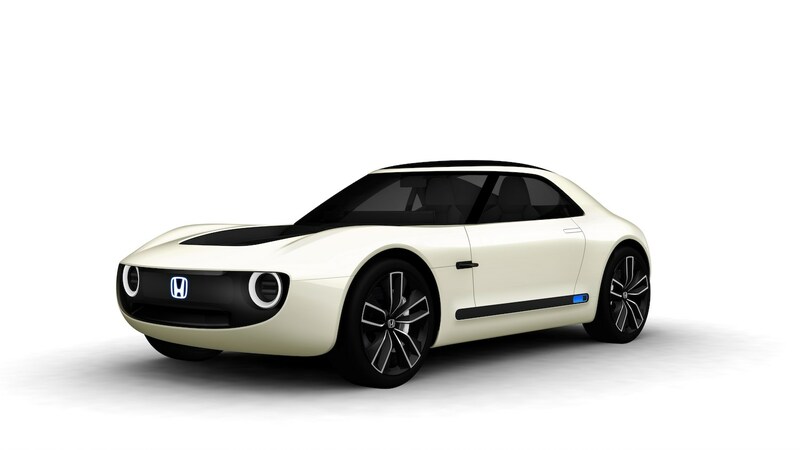 The Honda Urban EV Concept, built on a newly-developed dedicated EV platform, is a concept model which indicates the technology and design directions for Honda’s future mass-production EV models. A new model based on this concept will go on sale first in Europe, and then in Japan in 2020. The all-new Honda CR-V will include a hybrid model equipped with Honda’s original “SPORT HYBRID i-MMD” two-motor hybrid system, which will be available in front-wheel drive and 4WD variants. A 3-row seating type will also be added to the line-up of the petrol model. The all-new CR-V is scheduled to go on sale in Japan in 2018. The Honda Clarity PHEV, a new-generation plug-in hybrid model with an EV range of more than 62 miles, is scheduled to go on sale in Japan in summer 2018. The pure electric Honda Urban EV Concept made its global debut at the 2017 Frankfurt Motor Show. The simple, clean, and somewhat retro styling of the Urban EV Concept appears to be a fairly radical, yet welcome, departure from Honda’s recent design language, which, in the case of the most recent Civic for example, has been somewhat cluttered. However with the addition of this model, we’re still left with the prospect of Honda having a variety of different design styles within its range. Honda is relatively late to the electric car party so let’s hope that the Urban EV Concept delivers a driving experience that’s as interesting as its sporty-looking design.